Apart from all the great Real Estate Deals in Playa del Carmen we try always to keep our eyes open for more helpful information about living and investing in Mexico. Yesterday we cam across an email from Deanne, one of our Realtor Colleagues here in town and what she said, was definitely interesting and I am sure it is worth digging into some more background information about this interesting news. Here is what she wrote : Another great reason to live here part time or retire here! Expats can easily qualify for Mexico’s special government sponsored health insurnace program reducing the average US citizens insurance expenditure by thousands of Dollars each year. Americans may be able to use their Medicare and Medicaid insurance to access Mexico health care within one year, reported Bloomberg news yesterday. The move would make Mexico real estate even more attractive to Americans looking to buy homes and retire south of the border. Bruno Ferrari, chief executive officer of Promexico, Mexico’s foreign investment agency, told the news service that “authorities are interested” in the idea. He said ten US and Canadian companies have shown an interest in building Mexico health care facilities for Americans looking for low cost treatment. With the US health care debate heating up, the Mexican health care system is hitting the headlines and more Americans are opting for ‘medical tourism’. “This would be a great opportunity for the industry in this country … There are developers interested in creating new cities,” said Ferrari. According to Promexico, some forms of health care in the US can cost 12 times as much as in Mexico. Figures from the US Centers for Medicare and Medicaid services predict total spending by the insurance programs will amount to $889.1 billion in 2009, about a third of all health care spending in the US. Some are surprised by the extremely high standards of health care in Mexico, but when they realize that many of the top Mexican medical staff are trained in US universities and hospitals, the reasons become obvious. Many health insurance companies already offer policies to foreigners buying homes in Mexico and the Mexican government’s IMSS health care program is also available with excellent basic cover at a very low price. 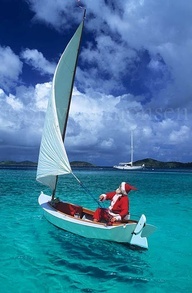 It is time again to plan your Christmas and New Year vacation for this this year. Thousands of Canadians and Americans will choose the Riviera Maya and Playa del Carmen as their holiday Destination for 2014. And of course we expect many Guest from Mexico DF, Guadalajara, Monterrey and lots of other great cities in Mexico will come to spend this vacation in the Caribbean. Pretty much the entire Riviera Maya and Cancun will receive so many guest, that the occupancy rate is 100% + and every town like Puerto Aventuras, Tulum, Akumal and Puerto Morelos will be buzzing with activity and busy restaurants, night life, shopping and of course beach Clubs. and enjoy the beginning of high season. Buying Real Estate in Playa del Carmen and the Riviera Maya is definitely a smart choice and you will find it easy to cover your expenses and more with the annual rental income produced by your property. It is not really necessary to rent out a lot of weeks every year to cover your monthly fees etc, just the 4 weeks of Christmas, new Year and the BPM festival are enough to do so. Of course one can increase the percentage easily as the vacation season is going on pretty much all year long. As a easy suggestion to find yourself a great condo or home to stay in for this winter, or promote your own place you might want to check out AIRBNB or FLIPKEY, two of the best sites for rental property in Mexico. 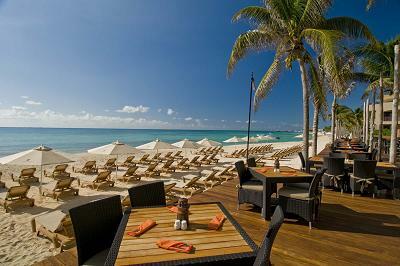 Or book a great package with our vacation specialist at Property Manager Playa del Carmen. Here you can contact a sales representative and organize everything from your airport pick up, to the condo you like to stay in, the tours you like do in Quintana Roo and the Yucatan Peninsula and pretty much every other possible activity you like to enjoy. If you consider buying real estate in mexico and have questions about future investments, check out our Website, where you find lots of Condos for Sale in Playa del Carmen and the entire Riviera Maya. You always are welcome to check out the most update Real Estate News on Facebook and Youtube. One of the beautiful things to do when living in Playa del Carmen or staying here on your summer vacation, is to go and visit Xpu Ha. The Riviera Maya receives Millions of tourist since many years, so there is hardly any secret spot, where the locals go on their free time, but Xpu Ha is the closest it gets if you look for a hidden paradise. Just imagine the most amazing beach with the most unbelievable tones of blue and turquoise in the caribbean waters, a few really simple beach clubs, good ceviche, a metal bucket with lots of ice and cold corona beer, only a few tourist and a lot of sun and blue sky. Actually, just check out this picture, than you know what i am talking about. Xpu Ha is just 10 miles south of Playa del Carmen and there are only small, almost hidden access roads towards the beach. You will have to pay a small fee to enter the properties and drive down a dirt road until you get to the beach club, there are actually 2-3 of them to choose. The same bay has small boutique hotels like El Cielo and Esencia, where travelers from all over the world enjoy the relaxed and private atmosphere. O r just click on the picture. One of the bets things to do there is to rent a snorkel equipment and swim out just a 100 meter to one of the most beautiful coral reefs in the Riviera Maya. You will find amazing underwater landscapes and a wide array of different fishes in all colors you can imagine. Very untouched and even better if you like to explore a bit more, there is a ecopark close by where you can snorkel in a lagoon as well. Of course we would like to recommend you great spots to buy property close by, like Akumal, Puerto Aventuras and of course Tulum. And please don’t forget to check our continuously updated Homes for Sale Playa del Carmen Website and check out our busy Facebook Site and our Youtube Channel. here at one of the Pristine Beach Clubs like Ziggy Beach Club or La Vita e Bella and some of the best ceviches and margaritas, you never ever want to go back to the cold. Of course one of the first things, which happen when one spends a day in this paradise, is the urgent desire to buy real estate. It is very easy to picture this surroundings as your future and many, who came as visitors stayed and build up their new lifes in Tulum and the Riviera Maya. There are a few details one should know about making this changes in your life and how to plan the single steps of this amazing adventure. One of the very first is definitely to find a home or condo for sale and we are happy to show you a great selection of Real Estate in Tulum or the close by communities of Tankah and Akumal. 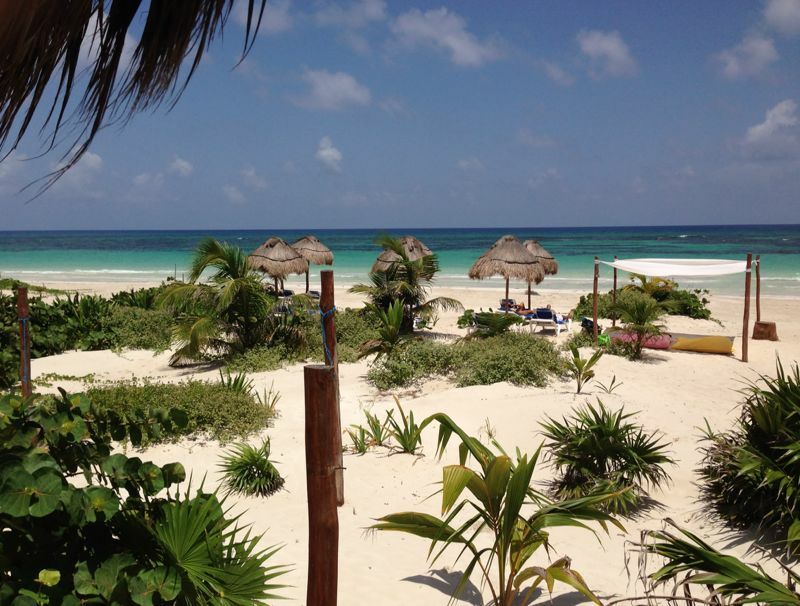 There are a lot of really good deals to find on our Tulum Real Estate Site, just click here. Of course we are more than happy to help you with every little question you have in case you plan to relocate and love mexico as much as we do. For mor einfo about Real Estate in Tulum and other areas in the Riviera Mexico, please check out as well our Homepage and find us on Facebook and Youtube. which affects the Real Estate Industry. And now there might be a TAX reform coming, where one point of many in the governments suggestion is to charge a 16% VAT tax on Real Estate sales. Both of the changes would be major changes. Here a bit more about this possibilities. We don’t really have an opinion about it and just wanted inform foreigners about the latest possible trends in Mexico real estate.The lower house of Mexican Congress has voted to allow foreigners to own residential property in their name and the next step is that senate needs to decide. The idea is to boost the Real Estate market in Mexico. Since May the changes are being discussed and would mean a lot of change for the real estate industry and investments in Mexico. Now the idea about charging a 16% VAt tax on real estate has not passed the lower house of congress neither the senate. It is part of an initiative from the government to make a tax reform for Mexico. Basically what in implies for real estate is a 16% raise in prices. There is a real chance this might happen and if it becomes a law, we could expect this around January 2014. What are our suggestions. As always plain and simple. Regarding the banktrust. If you own a property here already – Nothing really needs to change. If you want to buy a condo or home in the future, without banktrust you would save on the closing fees of course. Regarding the possibility of a 16% VAT tax on Property Sales – really simple – Buy Now! One of the best deals for Playa del Carmen Real Estate is Papaya Plus Condos. Click on the picture for details and get with us right now a 10% discount from the developer. Top Quality, Modern Design, Ocean View and you can buy it for less than 240k. For more info you can always contact you and visit our Homes for Sale Playa del Carmen Website and find us on Facebook and Youtube. growth and is a great place to visit, if you like it tranquil and relaxed. foreigners interested in buying Beachfront Real Estate. The rooms were very clean and had enough space to host our small family of tree. Actually they had already a extra bed prepared for our daughter upon arrival. Apart from offering probably the best hospitality in the Costa Maya, they have a great restaurant and on our welcome dinner we ordered the seafood platter with catch of today, plus a lot of very nicely marinated shrimps, squids and naturally a superb lobster tail. Most probably that was one of the best meals we ever had and on top of this they prepared an amazing bolognesa for our little one. You can use their private beach and sit on one of their beach beds if you like to watch the stars and the perfect Full Moon in the Costa Maya. On our first day we went fishing and snorkeling in Placer, where you find Million Dollar Homes and a large community of US and Canadian owners and many Europeans, who offer dives at the amazing reefs or excursions to Chinchorro, which is one of the most magic places in Mexico. Ezekiel and Dario from Luna de Plata can help you with all the necessary info on these tours. In the evening we visited Jats’a Ja Festival, which is a celebration for the rebirth of Mahahual after a hurricane a few years ago. Part of it was a food expo, where you could try the culinary highlights of most of the top restaurants in town. Here is the link for it, if you like to know a bit more about this great event. Foe our last day, we planned just a quick trip to the beach, but working in real estate in Playa del Carmen for so many years, one cannot keep its eyes off the beautiful homes at the beach. Whow, what a retreat. You need to visit it in person to understand. 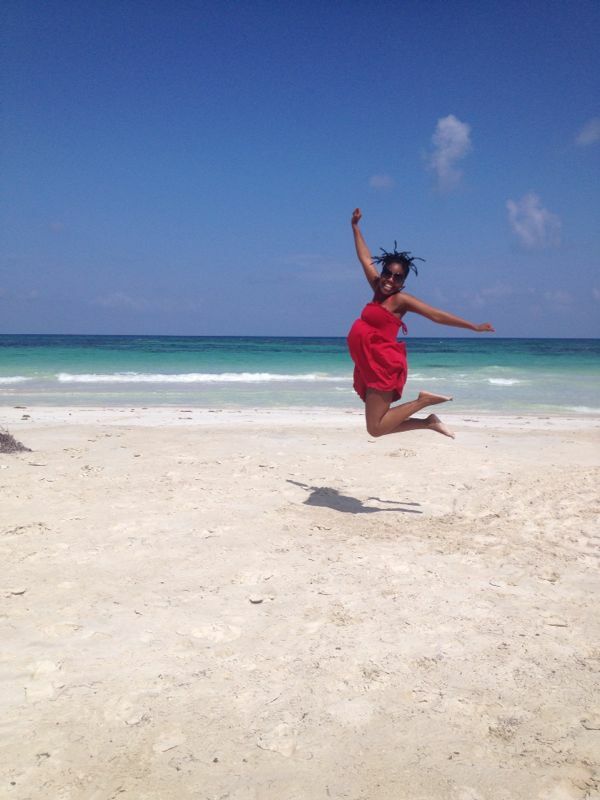 If you know the perfect beaches of Tulum, you will definitely enjoy this spot. It is even more virgin than Tulum, we jumped into the ocean and felt like we would be the first people ever enjoy this turquoise clear water.It is hard to believe, but living in Mexico for so may years, having the beach in the ocean in walking distance every single day of our life’s, I was literally knocked out by how beautiful this place is. beach just south of Playa del Carmen and the Riviera Maya. Maybe the most amazing Condos for Sale in Playa del Carmen? on from 26th street towards Coco Beach. El Merkadito and Wings Army opened in Plaza San Pedro. I realized this when I came back from a showing with some clients and of course went back to try their amazing seafood/chicken wings. The building we looked at is probably the most modern, spacious and luxurious building to be finished in the Coco Beach area. And best of all, these condos are not even more expensive than the neighboring Real Estate. Playa del Carmen has many nice properties for sale, but these ones definitely leave a long lasting impression with me. My clients are seriously thinking about leaving a deposit here for one of the apartments and if you like to see more info about the 2-3 bedroom condos for sale here, just click on the picture. The units measure from 1400-1970 sqft interior plus rooftops, terraces, ocean view pool, garden pool, it really offers the most amazing design and I am sure that now towards the end of construction many buyer will choose this as their favorite real estate development in Playa del Carmen, Mexico. Check out our Homes for Sale Playa del Carmen website and find us on Point 2, Facebook and Youtube.